Thanks for visiting this website. I'm so excited to share upcoming projects with you. 2018 is the start of some big things for me, and I hope you'll join me for the ride. If you haven't yet, consider signing up for the mailing list so you can get updates on all the big stuff sent right to your inbox! Also, consider joining a slew of talented guests and I for a concert to raise money for local performing arts educational opportunities for kids on June 29th. Details below! 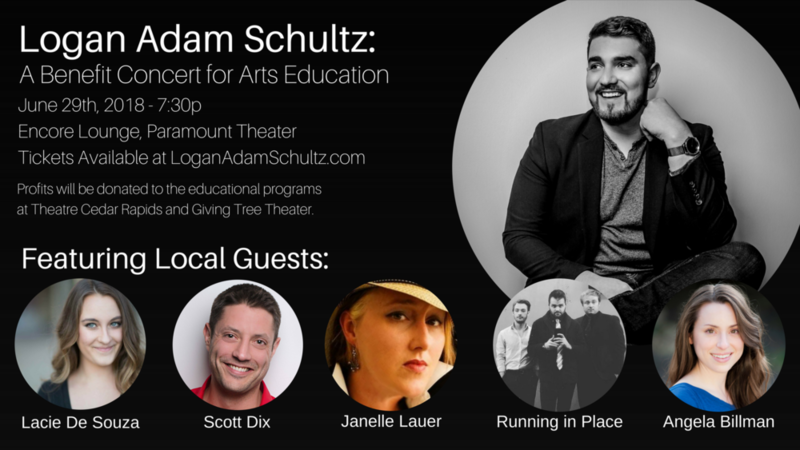 A one-night benefit concert starring Logan Adam Schultz and featuring a slew of local guest artists with the goal of raising money for local performing arts education opportunities for kids. This year, money raised will be donated to the educational programs at Theatre Cedar Rapids and Giving Tree Theatre. 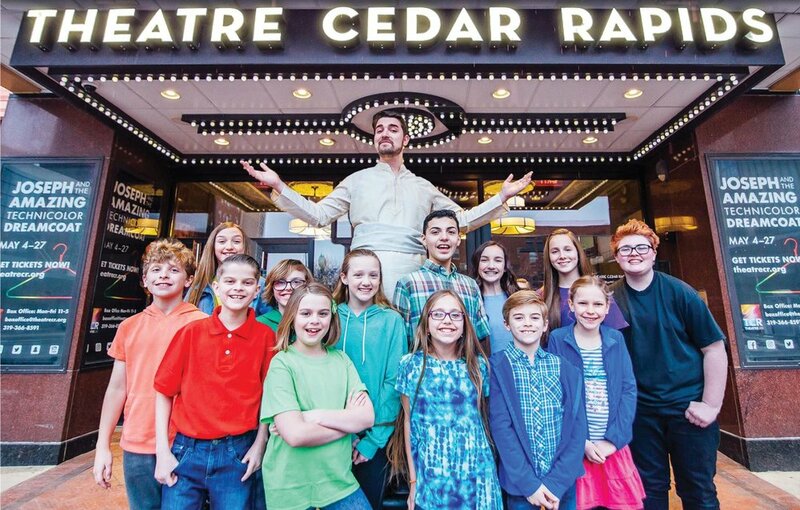 Logan Adam Schultz currently stars as Joseph in Joseph and the Amazing Technicolor Dreamcoat at Theatre Cedar Rapids. Due to a high amount of ticket sales, a fifth weekend of performances have been added (June 1st-3rd). Logan Adam Schultz is golden as Joseph. He’s charming, even when Joseph is bragging, but where he really shines is in the only scene that delves into despair. It’s told through Joseph’s prison lament, “Close Every Door.” Not only is he flexing his dramatic muscles, he mines the emotion by plumbing the depths and heights of his fluid vocal register. The moment is stunning. Diana's full review can be read HERE, and tickets for Joseph can be purchased HERE. In November of 2017, Logan Adam Schultz performed as part of the monthly Now Hear This new artist series in the beautiful Opus Concert Cafe, a jazz lounge in the heart of Cedar Rapids. Selections from Logan's live performance are streaming now via SoundCloud at LoganAdamSchultz.com. Logan Adam Schultz, operations manager for Orchestra Iowa, is stepping into the spotlight for solo and duo sets with Tim Riven on Tuesday night (11/7). 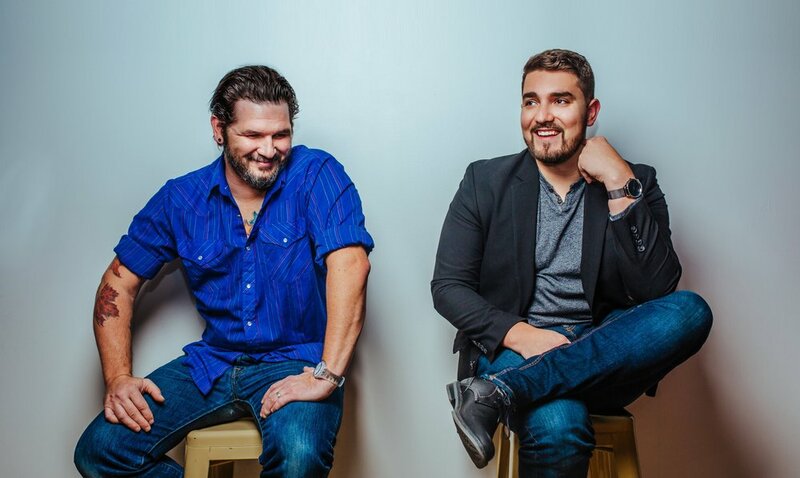 Backed by full bands, Schultz will pull from a variety of genres, including jazz, rock and pop, while Riven leans toward original works and cover songs in the folk/Americana realm. "It’s all Gerard,” Schultz said of the series’ genesis. “He wanted to start this new artist development series, and reached out to myself, and then a few months later, to Tim. He just wanted to challenge us to try something new and see where we can go with it. I think we all kind of view it as a bit of an audition, to see what we’re capable of and what could come next." Diana's preview can be read HERE, and Tim Riven's website can be found HERE.